Black Forest Smoothie – Voila! FACT! “Plain Greek yogurt has roughly twice the protein and half the sugar of plain traditional yogurt.” (Source: health magazine from the gym). This is the same magazine where I got the recipe for this smoothie. It’s always a bit awkward when I’m on some machine at the gym and I start tearing out pages from magazines. I usually look to see if my fellow gym-mates are fully immersed in their workout, magazine or music before I “damage” gym property. I couldn’t help it though – this recipe looked too good to leave behind. I risked practically nothing and got a great smoothie out of it! 1. Put all ingredients in a blender and blend! Then, enjoy! 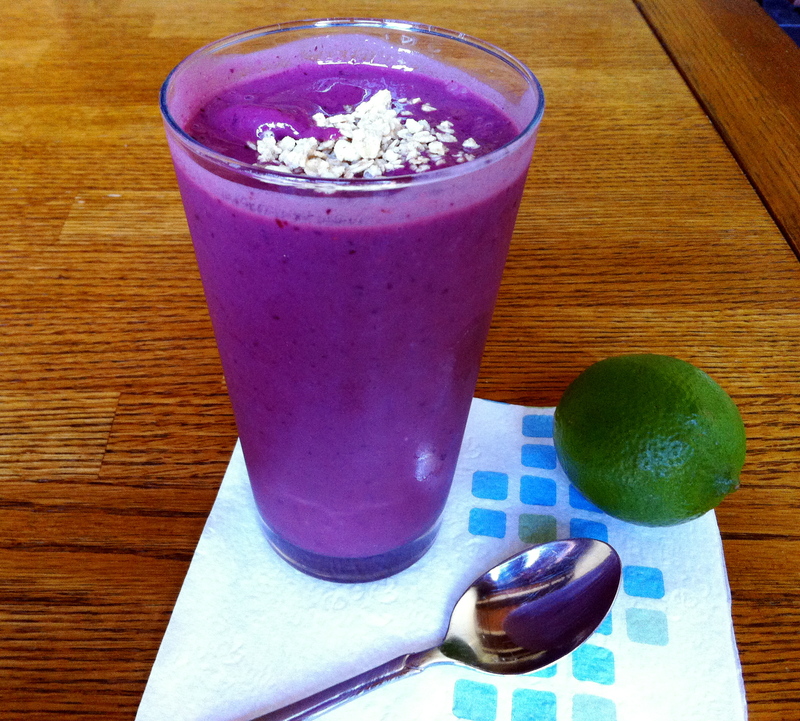 The color of that smoothie is just stunning… I would make that for the color alone. Is that natural, or did you cross process the photo?